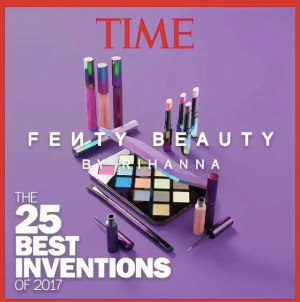 Fenty Beauty 40 shades highlighted on TIME's 25 Best Invetions of 2017 list. Move over sliced bread; you’re not the hottest invention anymore! 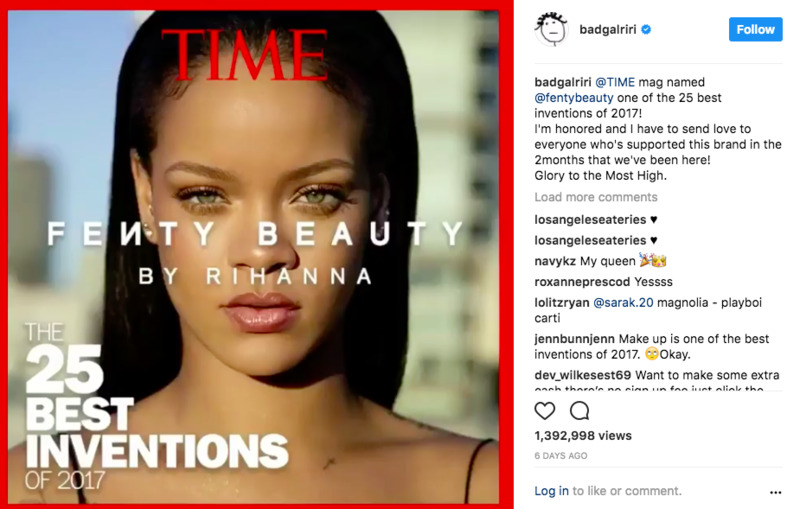 Back in September Rihanna created and launched a makeup line – Fenty Beauty, that even TIME Magazine believes is one of the 25 Best Inventions of 2017. 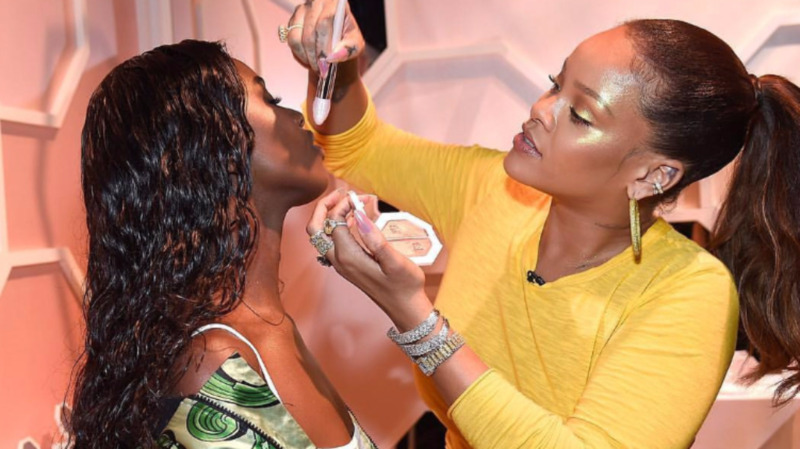 Fenty Beauty, with its 40 shades and diverse models, as well as exceptional price scale, has made the cut and sits pretty on TIME’s annual unranked list for 2017. “I'm honored and I have to send love to everyone who's supported this brand in the 2months that we've been here! She posted a video along with the caption on her badgalriri IG page as well, which in six days garnered over one million views, 1 392 998 views to be exact. RiRi sat down with TIME following the announcement and had much to say. 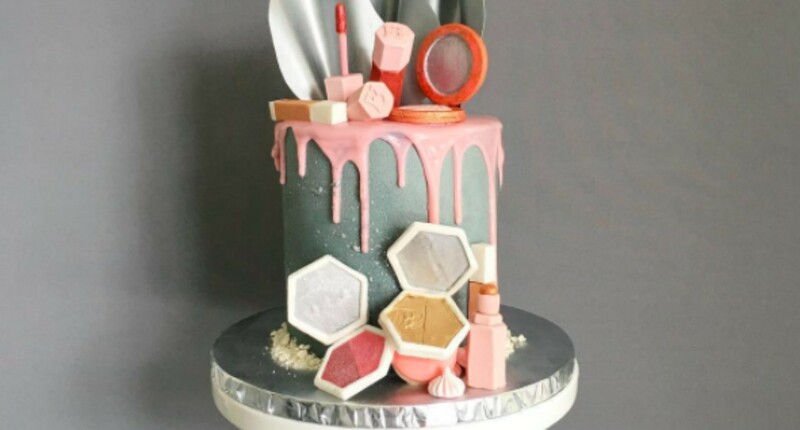 Asserting that she has 100 percent involvement in the development process alongside parent company Kendo, Rihanna says that creating 40 shades was not a gimmick, it was strategic to ensure that more women can access the “secret weapon” that is makeup. Asked, what were the most important factors that she considered while creating Fenty Beauty, the Barbadian-beauty said, “Texture”. Surprised by the “emotional connection at women are having with the products and the brand as a whole,” Rihanna said she can’t get over the fact that for some beauties this is the first time they have ever discovered their shade of foundation at the counter. And she had a surprise of her own. Considering how the Galaxy Collection has taken off like a rocket, and how glittery and bold some of the creations in Fenty Beauty are *HINT HINT – Trophy Wife highlighter*, it’s amazing to note that Ri’s favourite product of all released so far is – Gloss Bomb. 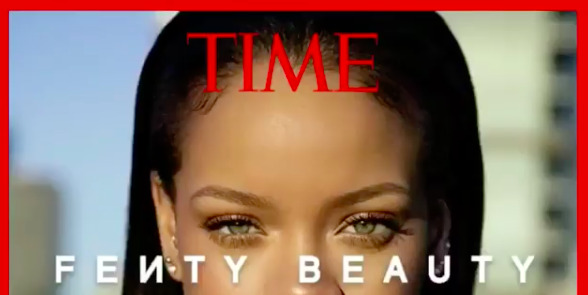 Fenty Beauty is chilling on TIME’s Best Inventions list for the year next to products such as Halo Top ice cream – no more than 360 calories in one pint; eSight 3 – glasses which give sight to the legally blind; Apple iPhone X; the Nike Pro Hijab; Bempu - a light-­up temperature­-monitoring bracelet that fits on a baby’s wrist and it sounds an alarm while flashing orange if babies are too cold; and the Willow Pump – a portable, wearable breast pump, to name a few of the twenty-five. And today, November 23, 2017, Rihanna finally drops the newest member of the Fenty Beauty family - stunna lip paint in shade #UNCENSORED.